Last week we commented that based on TIC data, while "Belgium's" unprecedented Treasury buying spree continues, one country has been dumping US bonds at an unprecedented rate, and in March alone Russia sold a record $26 billion, or 20% of its holdings. 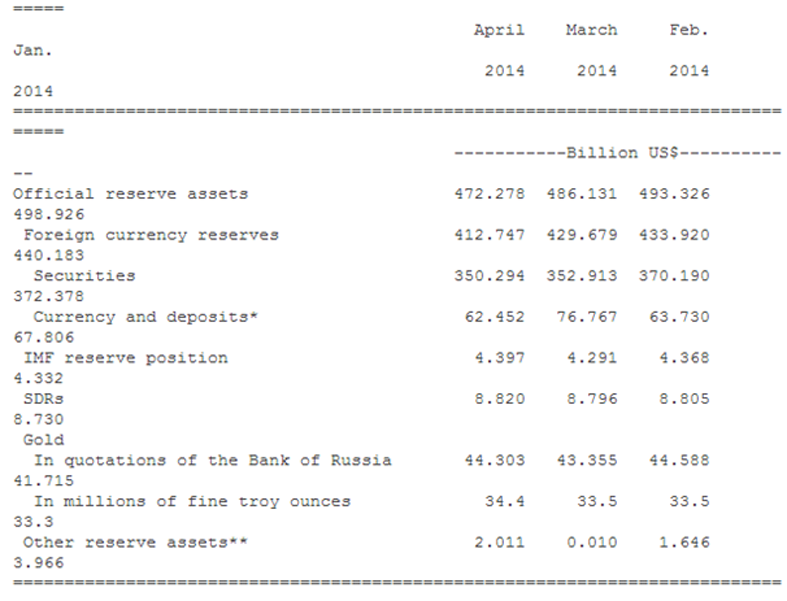 Russia's gold & foreign exchange reserves remained virtually unchanged at USD 471.1billion in the week ending May 9. 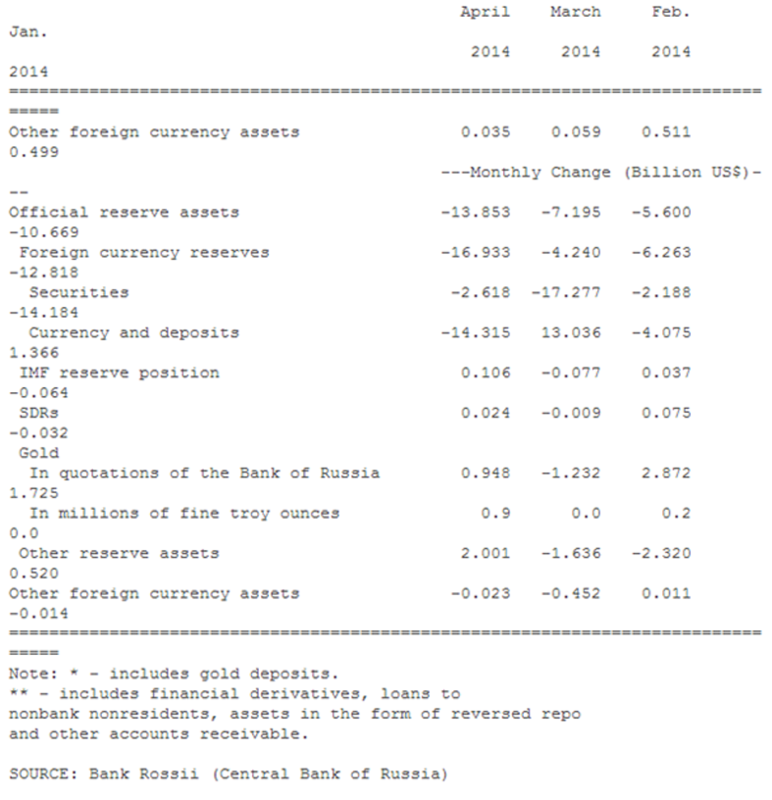 Russia’s reserves have fallen since the crisis began but remain very sizeable. The reserves include monetary gold, special drawing rights, reserve position at the IMF and foreign exchange. On May 25th 2012, the deputy chairman of Russia's central bank, Sergey Shvetsov, said that the Bank of Russia plans to keep buying gold in order to diversify their foreign exchange reserves. "Last year we bought about 100 tonnes. This year it will be less but still a considerable figure," Shvetsov told Reuters at the time.